Clutch’s research team identified over 640 companies as top-performing mobile app developers in the United States. These companies were identified based on their industry knowledge, work portfolio, and client feedback. WASHINGTON, D.C., October 16, 2018 – Today, B2B ratings and reviews platform Clutch released its annual list of the leading 642 mobile app developers across the United States. Today’s report highlights the top app developers in Arizona, California, Colorado, Hawaii, Nevada, New Mexico, Oregon, Utah, and Washington. These companies were selected according to Clutch’s proprietary research methodology. Comprehensive client reviews were central to the evaluation and included feedback on the quality of the app delivered, project management, cost, and impact on the client’s business. WASHINGTON, DC, October 1, 2018 – One-quarter of small businesses (25%) track their finances on paper instead of a computer, according to a new survey by Clutch, the leading B2B research, ratings, and reviews company. 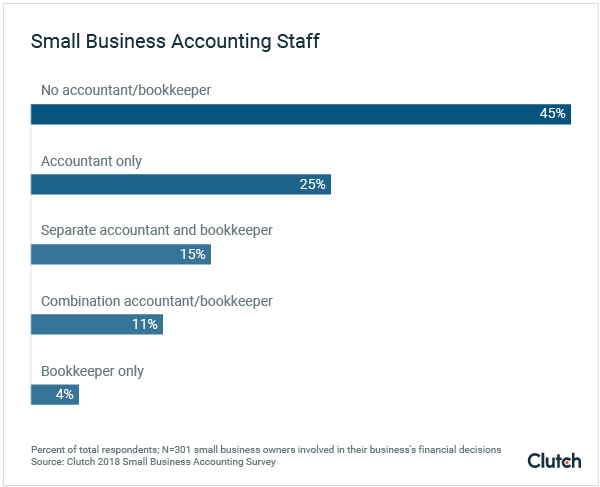 The survey also reveals that 45% of small businesses don't have an accountant or bookkeeper. Over 65 companies were named the best business service providers in their respective countries based on client feedback, work quality, services offered, and market presence. 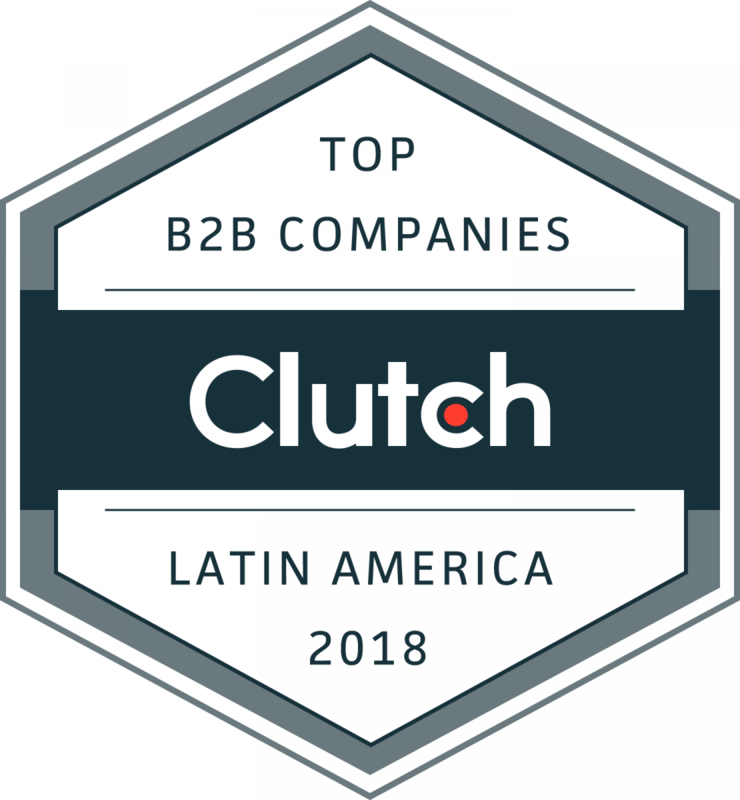 WASHINGTON, DC, September 26, 2018 – B2B research, ratings, and reviews company Clutch announced the top 67 business service providers in Central America and the Caribbean. Today’s report includes companies with presence in Costa Rica, Panama, Bahamas, Dominican Republic, Jamaica, and Puerto Rico. A variety of industry segments were featured in the report, including marketing, design, development and IT services. Clutch Analysts conducted in-depth research by interviewing and verifying each company’s clients to evaluate work quality and client feedback. WASHINGTON, DC, September 26, 2018—More than half of recently hired employees (58%) say their job search lasted two months or less, according to a new survey from Clutch, a B2B ratings and reviews firm. The findings reflect a tight job market that favors job seekers, forcing recruiters to act quickly to secure talent. Approximately 30% of recent hires spend three to six months job hunting compared to 13% who spend more than six months looking for a job. Because applicants complete the job search quickly, they apply to fewer jobs total. WASHINGTON, DC, September 25, 2018 – Research, ratings, and reviews company Clutch named the top-performing companies in Chile, Peru, Ecuador, Paraguay, and Venezuela. These companies provide business services in the marketing, development, design, and IT space. The companies that made Clutch’s list were evaluated based on in-depth phone conversations with clients, online reputation and market presence, and work portfolio. WASHINGTON, D.C., September 24, 2018 – B2B research, ratings, and reviews company Clutch published a report that recognizes the top-performing companies in Argentina, Brazil, Colombia, Mexico, and Uruguay. Industry segments featured include marketing, design, development, IT, and digital services. All companies that made Clutch’s list of the best service providers in Latin America were evaluated based on client reviews, work quality, services offered, and market presence. 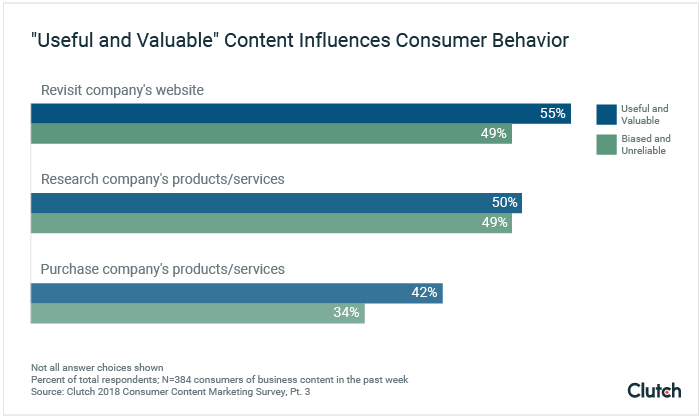 More Than Half of Consumers (55%) Will Revisit a Company's Website If the Content Is "Useful and Valuable"
WASHINGTON, September 20, 2018 – More than half of people (55%) are likely to research a company and its products if they value the content it produces and markets, according to a survey published today from Clutch, the leading B2B research, ratings, and reviews company. Among the people who value content marketing, 86% have purchased a business's products or services because of content marketing. People's preferences for the business content they read online differs by generation, new survey data from Clutch finds. 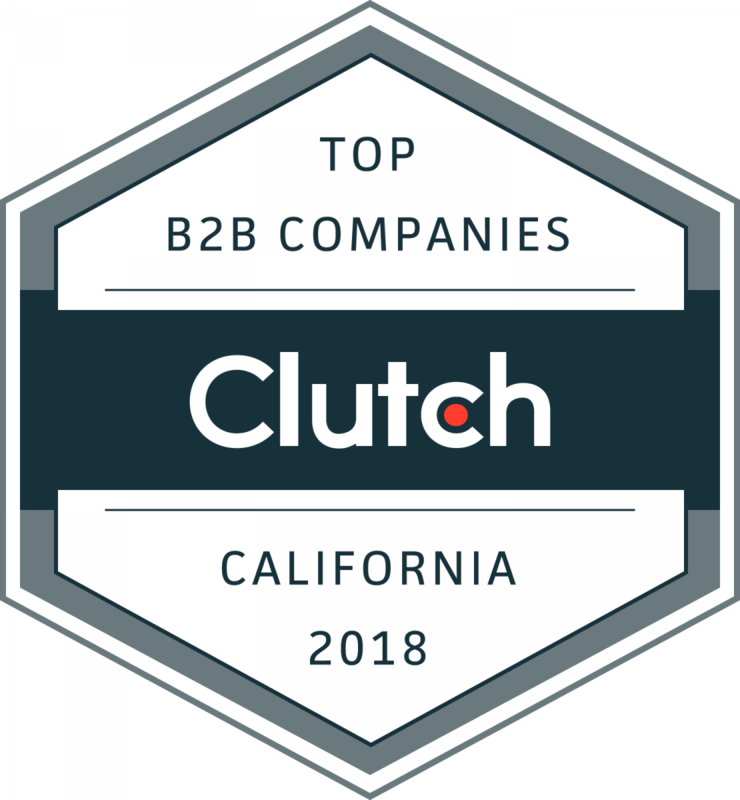 WASHINGTON, DC, September 5, 2018 – B2B research, ratings, and reviews company Clutch named the top-performing companies in the marketing, development, design, and IT industries in California. The companies were ranked based on quantitative and qualitative criteria that assess their work experience, market presence, and client satisfaction. 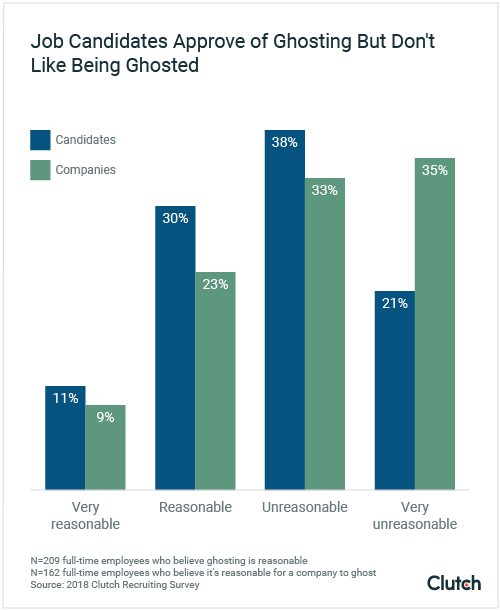 WASHINGTON, DC, August 29, 2018— ‘Ghosting’ a potential employer is an acceptable practice, according to a new survey from Clutch, a B2B ratings and reviews firm. More than 40% of job seekers say it’s reasonable to ghost companies during the interview process, abruptly cutting off communication when they decide not to pursue a job. Workplace ghosting occurs because job seekers accept another job offer (30%) or decide a role is not a match (19%). Job seekers also ghost in response to being ghosted: Nearly one-quarter (23%) say they ghost when a company stops communicating with them.